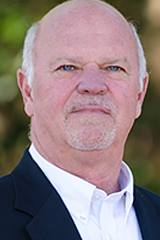 Hamp is a native of South Carolina, and a resident of Hilton Head Island for the past 39 years. After a 26 year career with a Fortune 100 company, he recently partnered with his son to form a company providing worksite benefits counseling. Hamp’s passion for Osprey Village stems from his relationship with his sister-in-law, Erica, who is hoping to become one of the first residents at Osprey Village. In addition to his work with Osprey Village, Hamp is also engaged in several other volunteer opportunities, including Ducks Unlimited.